A home's facade speaks volumes. In fact, the changing facades of the American home mirror the changes of our nation—from puritanical Colonial to wealthy Georgian; from the pioneering spirit of the western Prairie style to the industrially inspired Modern. Who would think a front door would have so much to say? But not only does a front entranceway convey a moment in the history of architectural design, it also serves as the most dramatic and affordable means to make your home reflect your personal taste. 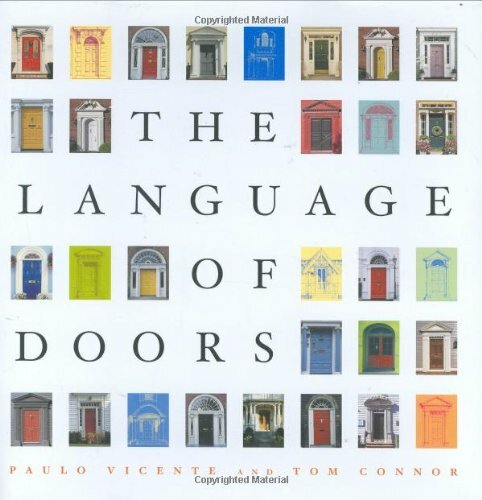 With 120 drawings by architect Paulo Vicente and accompanying text by home design expert Tom Connor, The Language of Doors identifies and discusses 350 years of architectural styles. It then applies these various styles to entranceways of differing homes so you can imagine the impact a new entrance might have on your own home. With its easy-to-read labels and informative glossary, The Language of Doors is at once a mini history of American home design and a dictionary of architectural elements. You don't have to be a home owner to want to know the difference between a flute and a dentil, a keystone and a pilaster. But if you are a homeowner with an interest in upgrading the look of your home, The Language of Doors is the perfect book to spark your creative thinking and just possibly save you thousands of dollars in architect's and builder's fees.